Siegmund Lubin, with his Lubin Manufacturing Company of Philadelphia, was one of Edison's earliest rivals in the motion picture business and remained a vigorous force in filmmaking, equipment manufacture and exhibition until the beginning of the First World War. Siegmund Lubszynski emigrated to the United States from Germany in 1876 and travelled the entire country as a salesman of jewelry, metal polish, spectacles and other goods. Settling in Philadelphia in 1882, he opened an optical manufacturing and retail business at 21 South 8th Street in 1885, particularly exploiting two patents for a novel form of eyeglasses. In late 1896 he developed the Cineograph projector with help from C. Francis Jenkins, and it was offered for sale in January 1897 at a price of $150. In February Lubin became an agent for Edison films, in March he founded the Cineograph Exhibition Service for vaudeville theatres, and on 15 May 1897 he began making films with Unveiling of the Washington Monument. 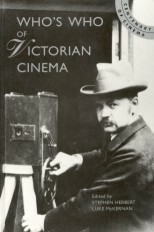 He produced many short comedies and actualities, including local scenes of preparation for the Spanish-American War and battle re-creations, but the staple of his early filmmaking was re-created boxing films, using either 'counterparts' for the original fighters, or the boxers themselves re-staging the fight. Like other companies at the time, Lubin re-made any appealing title from other companies, producing among others versions of The Great Train Robbery, Personal, and Uncle Tom's Cabin, and duped for his own sale many films of Edison, Méliès, Pathé, and others, advertising that his stock included any film made anywhere in the world. Through 1903 Lubin was constantly battling patent infringement suits brought by Edison, briefly fleeing the country in 1901 and momentarily ceasing production in 1903. By September 1907 Lubin was releasing three titles a week from new studios at 926 Market Street, and in 1908 he joined the Motion Picture Patents Company, ending his long legal battles. Throughout this period Lubin films were aggressively priced for the market, undercutting Edison's and his competitors' rates. Lubin films were characteristically sensational in content: a film of the Thaw-White scandal, The Unwritten Law, was made in 1907 while the gripping murder trial was still in progress. 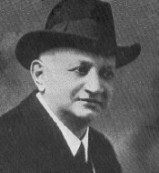 Lubin bought a 1000 seat movie house in Philadelphia in late 1906; by 1908 he was operating a chain of nearly 100 theatres on the East Coast, the nucleus of the later Stanley-Warner circuit. In 1912 he abandoned his Lubinville studios at 20th Street & Indiana in Philadelphia to move to a 500 acre estate across the Schuylkill River from Valley Forge, which featured a spacious modern printing laboratory. Frank Borzage, Henry King, and Oliver Hardy began their careers as Lubin actors, but the company developed no major stars who stayed with the firm. Not only price competitive, Lubin was also a vigorous promoter, installing luxurious fronts on his theatres and promoting his 1914 serial The Beloved Adventurer with a book-length novelization illustrated with scenes from the film. As he turned 65, Lubin sold his company to the Vitagraph Corporation of America in August 1916 and retired from the motion picture business. He died at Ventnor, New Jersey, 11 September 1923. Of the early American companies, including Edison, Biograph, Selig and Vitagraph, Lubin was the only one to attempt to create a vertically integrated firm melding production, distribution, exhibition and manufacture into a single entity. But as films, audiences, and business practices became more sophisticated, they left Lubin behind, a feisty and combative figure who exemplified the rough-and-tumble days of the beginnings of the film industry.